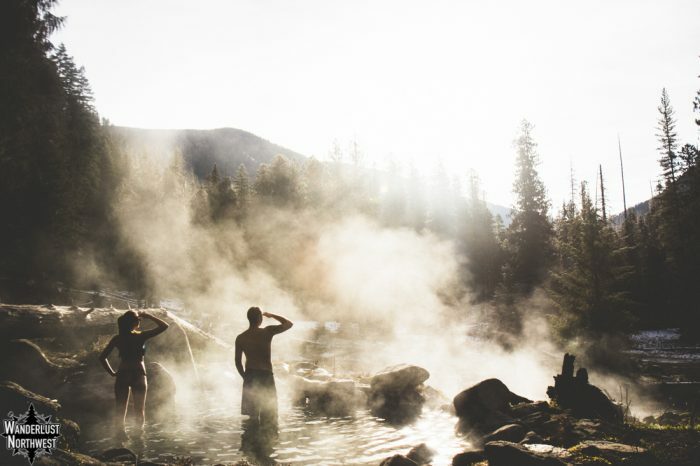 The way we see it, there are two reasons to enjoy a hot spring. Either you love being outside but aren’t looking to break an activity-induced sweat during a 10-mile hike, or you love that type of outdoor fun and need a way to soothe your muscles afterwards. 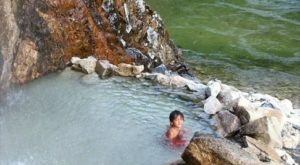 Either way, visiting one of these incredible hot springs in Idaho will soothe your body (and your soul!) with their mineral rich, warm waters. Mile-16 is located just on the edge of the Boise National Forest. In addition to being a consistent 107-ish degrees, the view can't be beat. 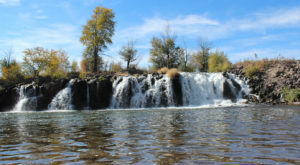 It's located at the South fork of the Salmon River. 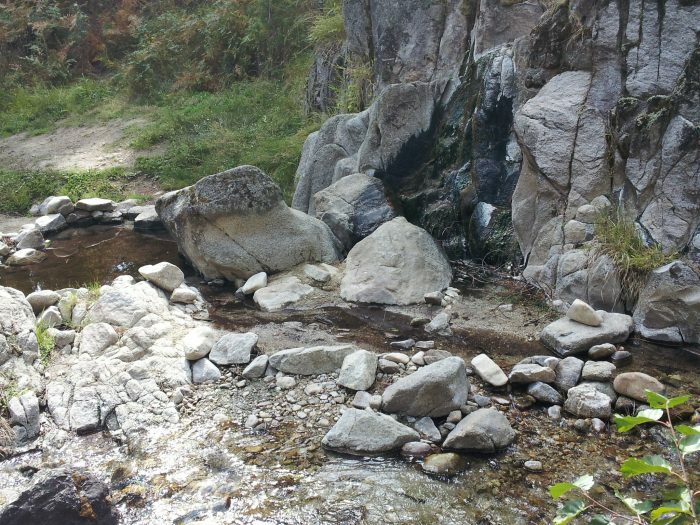 You can camp all throughout the forest, but there's nothing official near this public hot spring. Loftus has undergone some ups and downs over the years. After a restoration project brought it back from the brink following a wall collapse, the pool is now one of the best you'll find. The area is made up of two pools, an upper and lower. They are fed by a waterfall and feature a luscious sandy bottom. Find it near the Middle Fork of the Boise River within the park's boundaries. 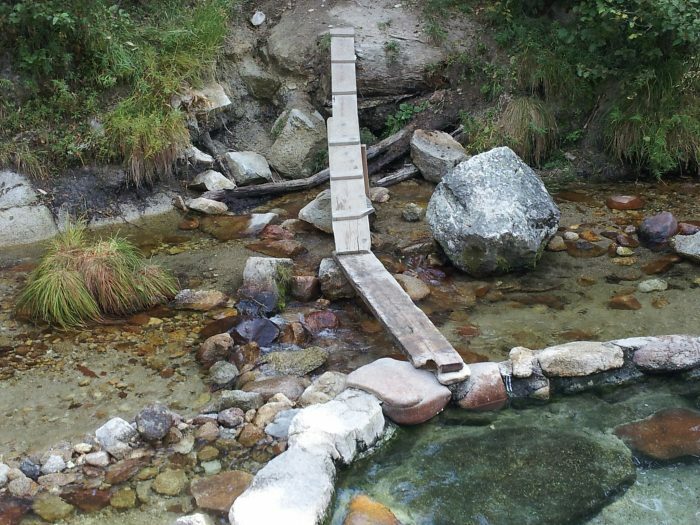 Burgdorf Hot Springs offers a large pool and with small hot pools at its inlet. You can pop by for a day visit between 10am to 8pm, but cabin guests have complete access at any time of day. Overnight guests have the option of staying in any of 15 rustic, historical cabins that give the feeling of camping without actually needing a tent. Learn more by clicking here. 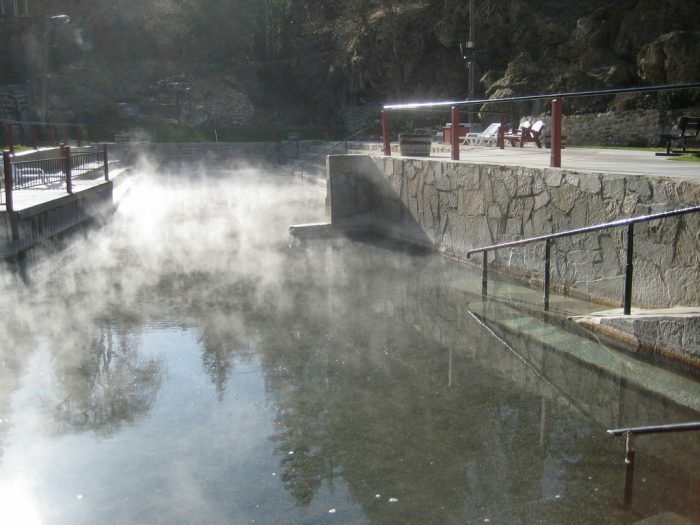 Jerry Johnson is one of the most popular hot springs in the state for good reason. 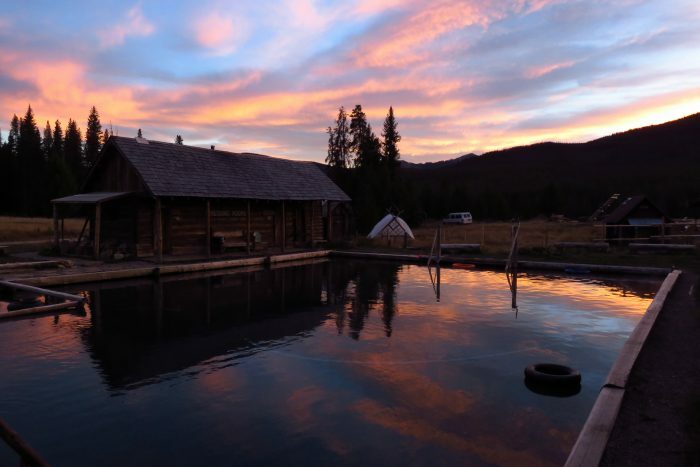 Three pools make up the network of the area, with two available for use year-round. The other is submerged until late summer. 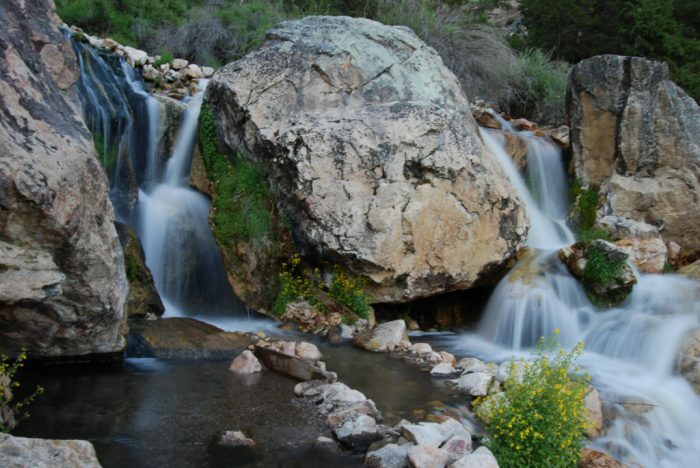 Camping can be found throughout the forest area, but note that the springs are closed at night. You're likely to find yourself surrounded by other soakers here, so be prepared to make friends. 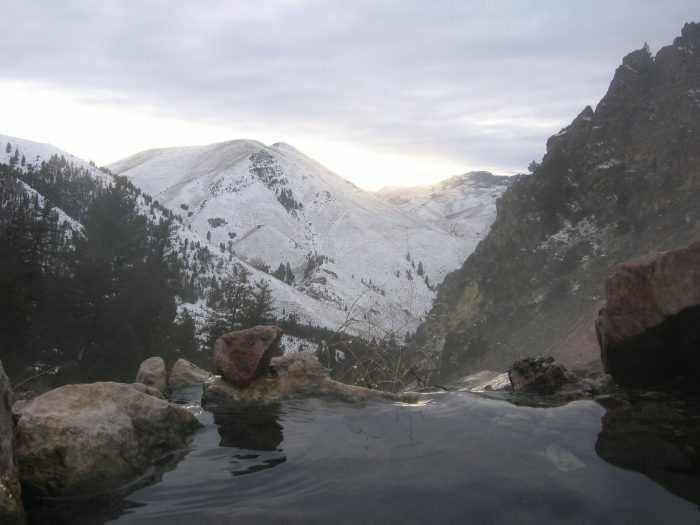 Goldbug Hotspring is the reward for braving a two-mile, rough-terrain hike. It gets pretty steep, so attempt this one only if you're fully able. One you arrive, you'll find a chain of about 6 pools, all waterfall-fed. The remoteness of this area means you're likely to encounter a clothing-optional crowd. 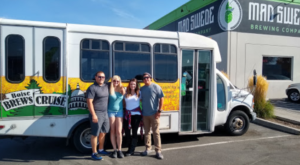 While Sacajawea is easy to get to, you're not always guaranteed the best soak. 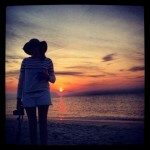 However, we think it's worth a shot given the great view. 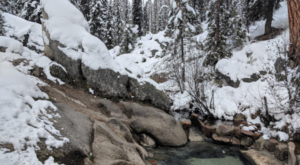 It can get pretty hot, so you'll want to try and mix up the colder river water in the area. 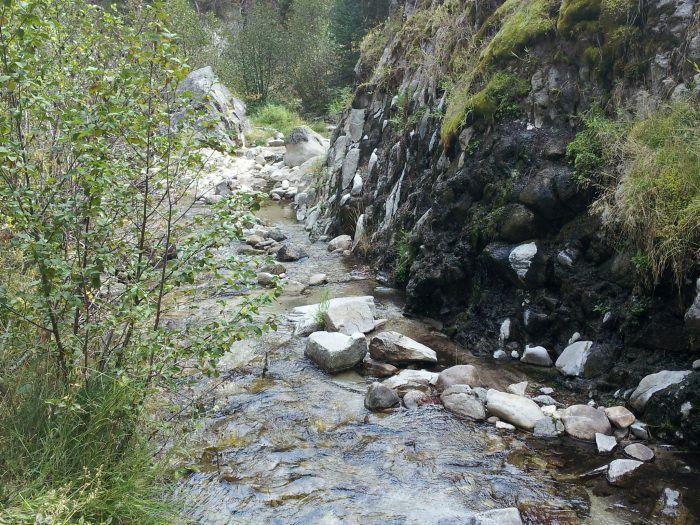 Trail Creek is one of the more accessible on this list. 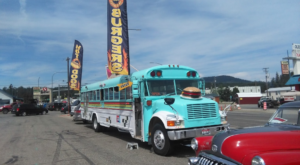 It's a fairly easy walk from the parking pull-out area. The area is comprised of two pools. 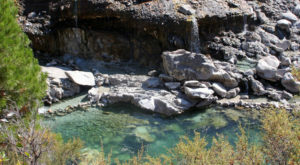 The first is fed by hot water that flows down algae covered rocks into the pool from above. Cold water comes in from from Trail Creek. The second pool is just beyond the first and is slightly smaller. 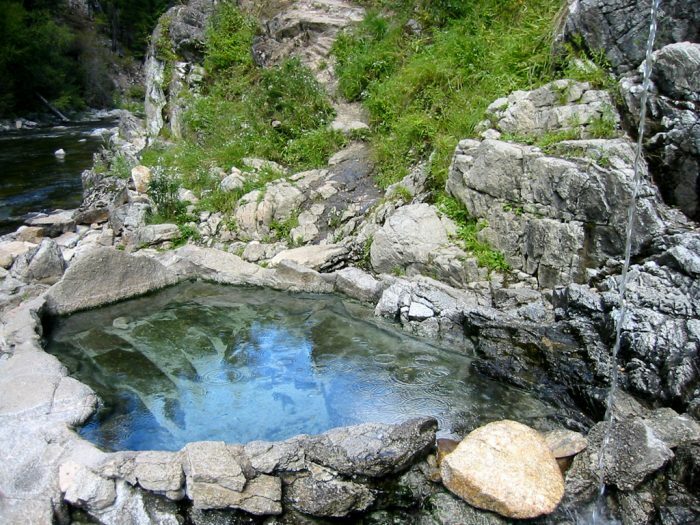 This modest hot spring is made up of one very hot pool. 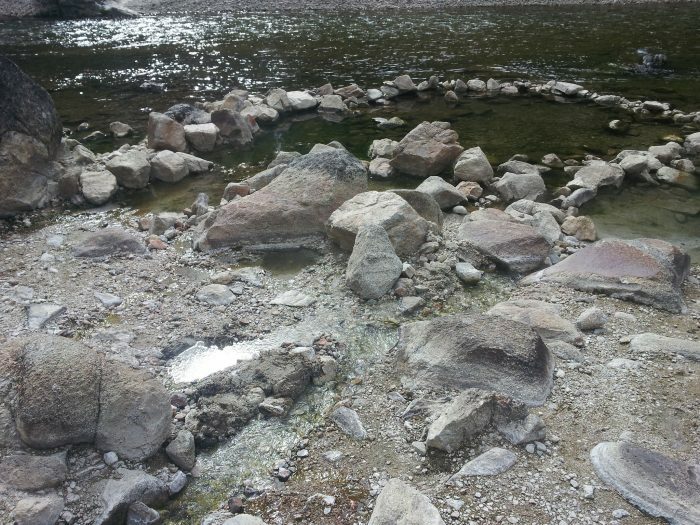 It's accessible after a two mile hike along the Middle Fork of the Payette River. Camping can be round within the forest area. 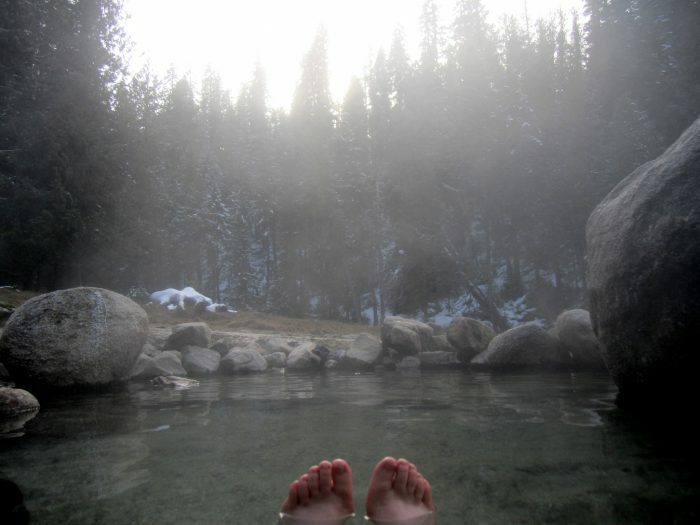 These springs get quite hot, so dip a toe before investing your whole body into the deal. 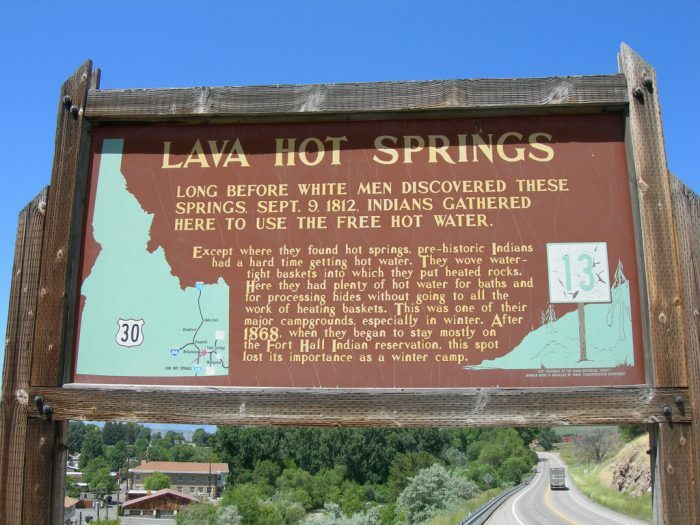 Rather than the individual springs listed in this article, Lava Hot Springs is actually an entire town. 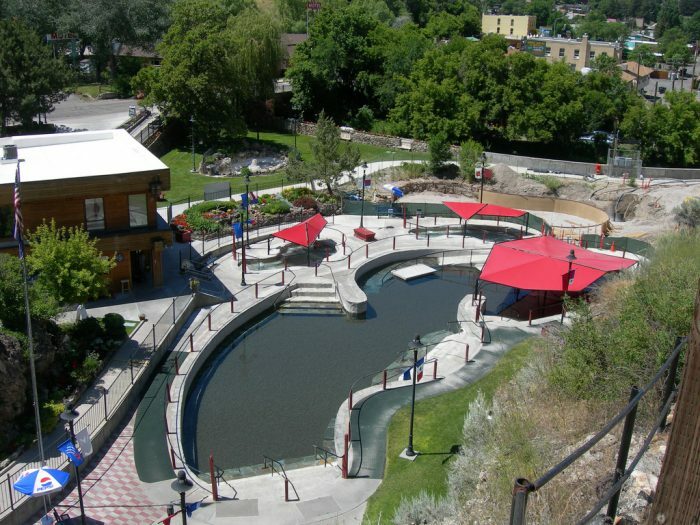 The springs can be enjoyed in a variety of ways, but perhaps the bets known is the olympic swimming complex. Lean more about it here. 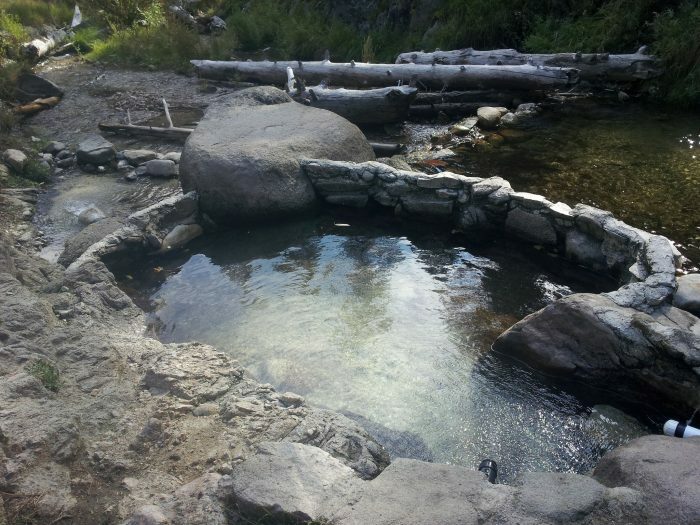 This simple pool is reinforced and located about a two-mile hike from the trailhead at Boiled Springs. This is a good pool to visit along with Moondipper, as you'll pass it along the way. 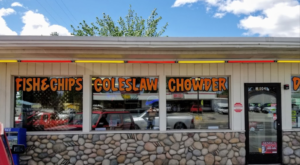 This is just a taste of what Idaho has to offer in the way of hot springs. 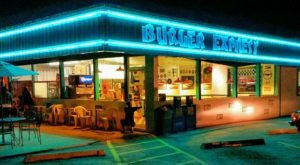 Many are hidden away, waiting to be discovered by intrepid explorers. Use this list as a starting point and then go and find your own. 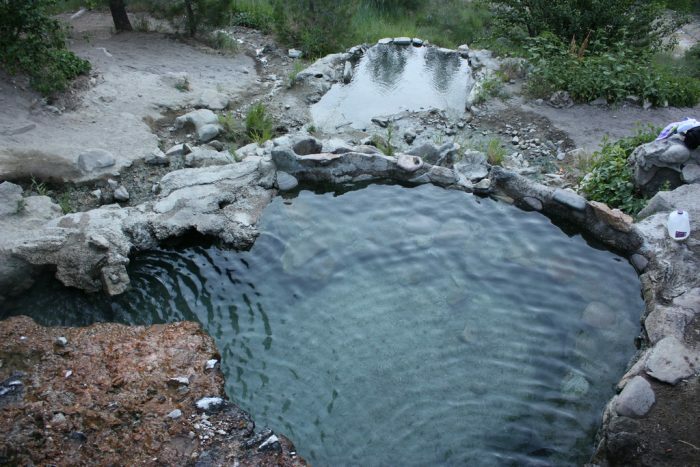 Let us know what your favorite hot spring is over on our Facebook page!